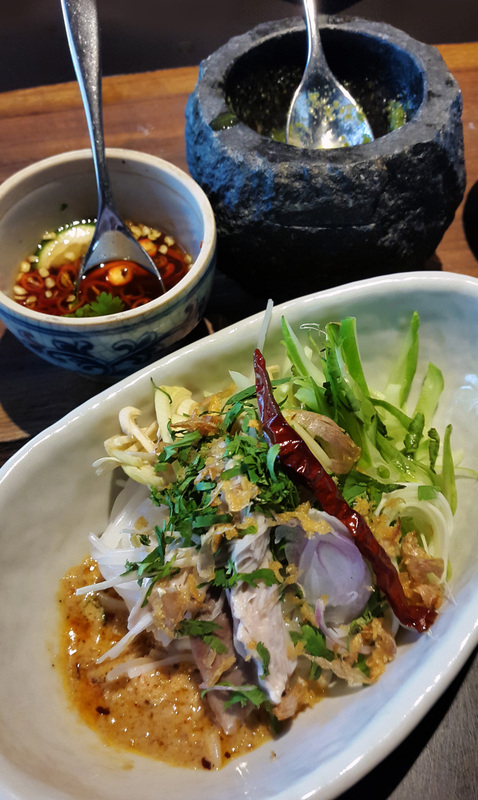 A quick foodie fix in Bangkok… “Again”. 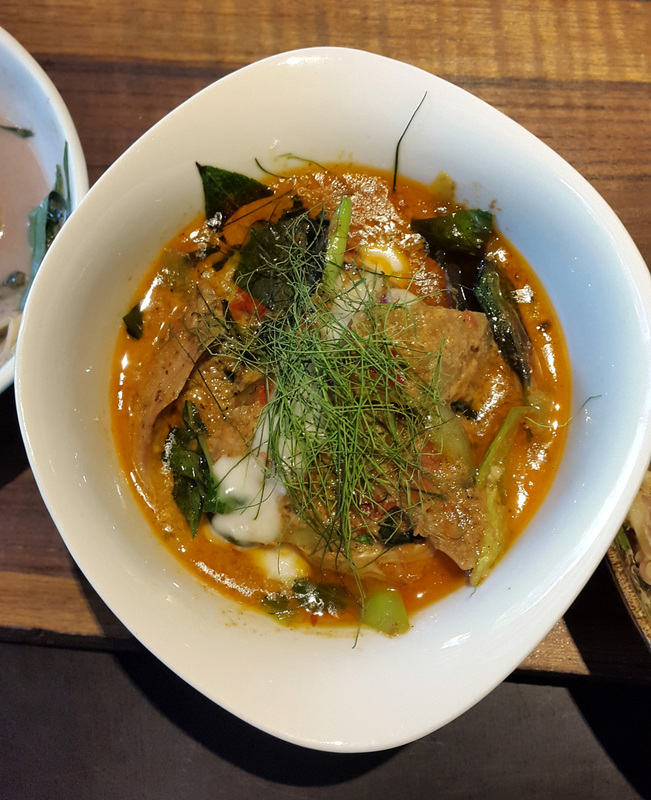 I have already blogged about these two Bangkok restaurants before so this time i`ll cut out the chit chat and just present some up to date photos of the current food that they`re doing here. 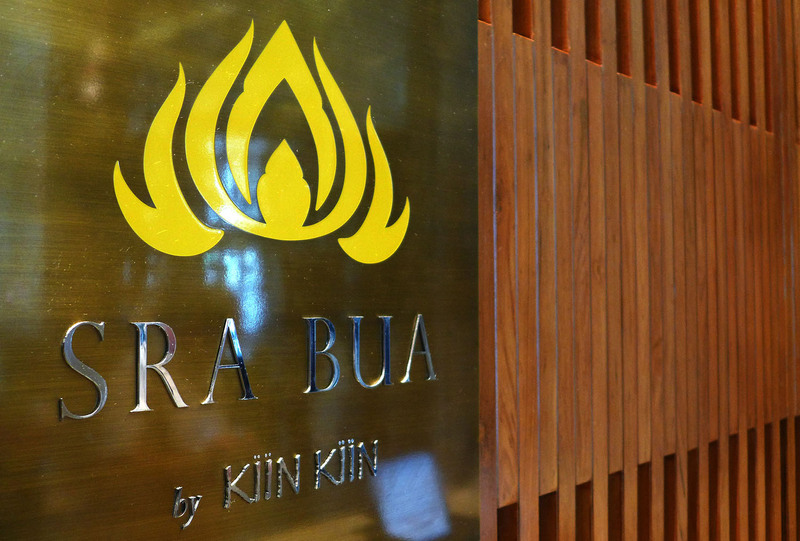 The first stop during my Asian Xmas break was the restaurant Sra Bua by kiin kiin.This high end restaurant is currently sitting at Number 21 on Asia`s best restaurants list. 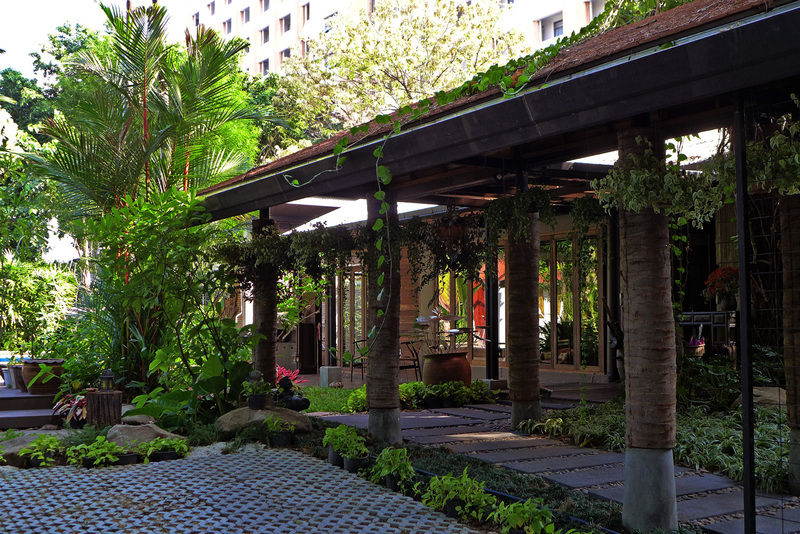 The restaurant is situated inside the Siam Kempinsky hotel which is just behind the exclusive shopping mall “Siam Paragon” on Sukhumvit road. 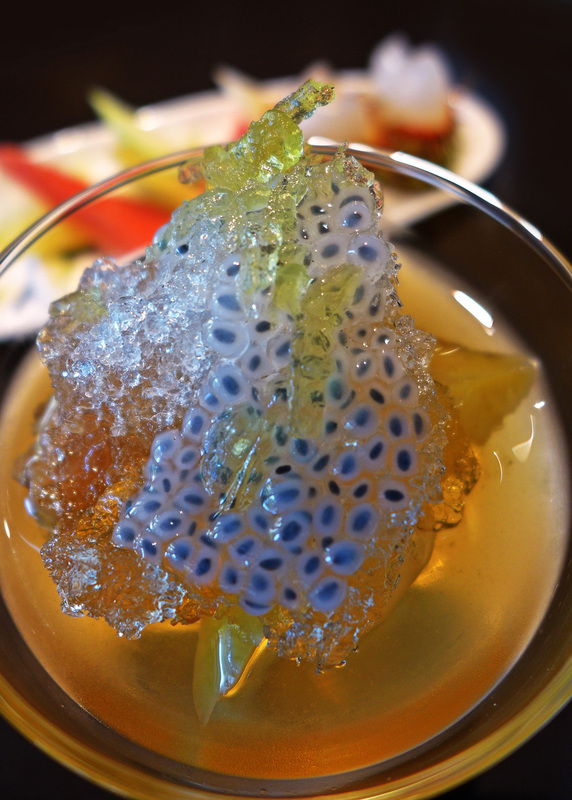 The restaurant is modern Asian serving some classic recipes with a bit of a molecular twist. We chose the a la carte lunch option as it had a little more choice than the set lunch. 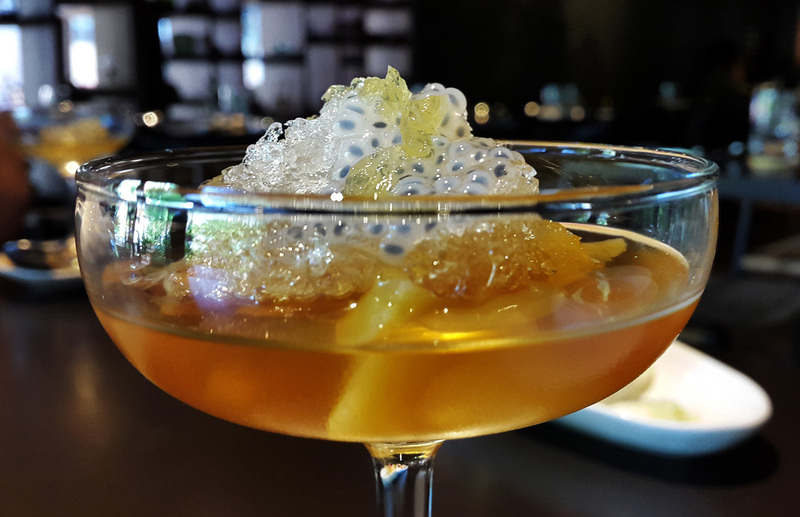 Lunch menu at Sra bua , Bangkok – We started with Crispy Kaffir Lime scented Lotus root and Squid and Prawn chip with Oyster Aioli as the house Nibbles. 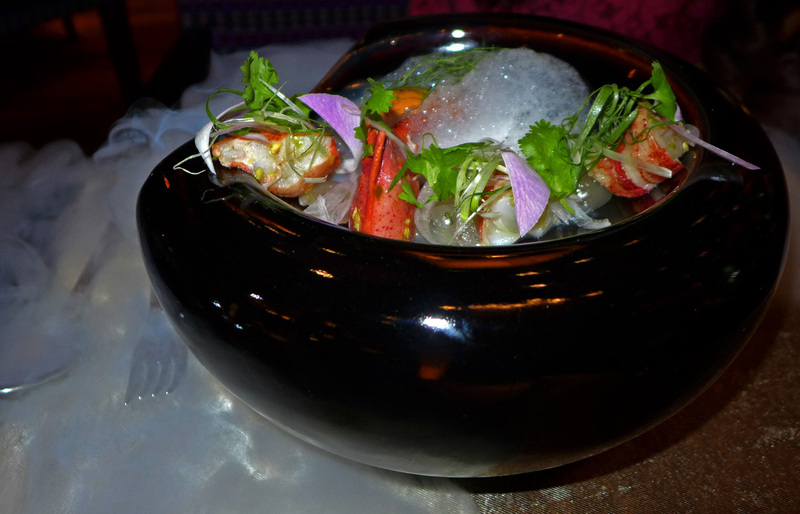 Sra Bua signature dish , Frozen Red curry Lobster with Lychees. 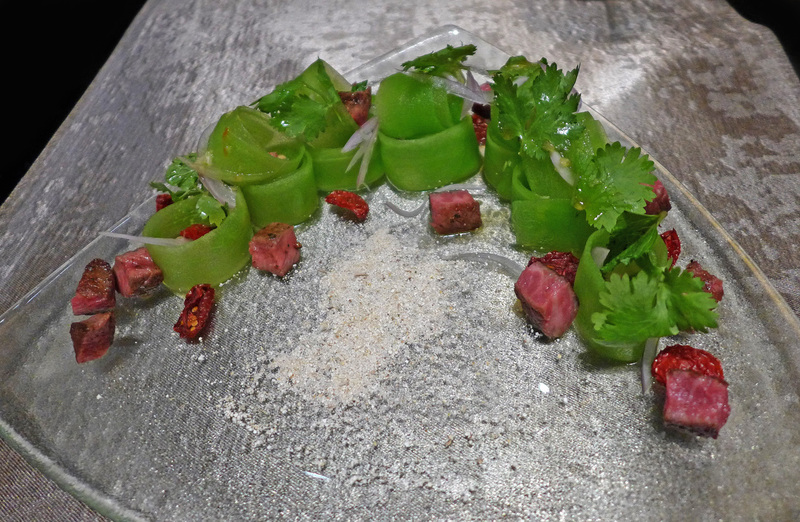 Wagyu Beef , Cucumber spicy salad. 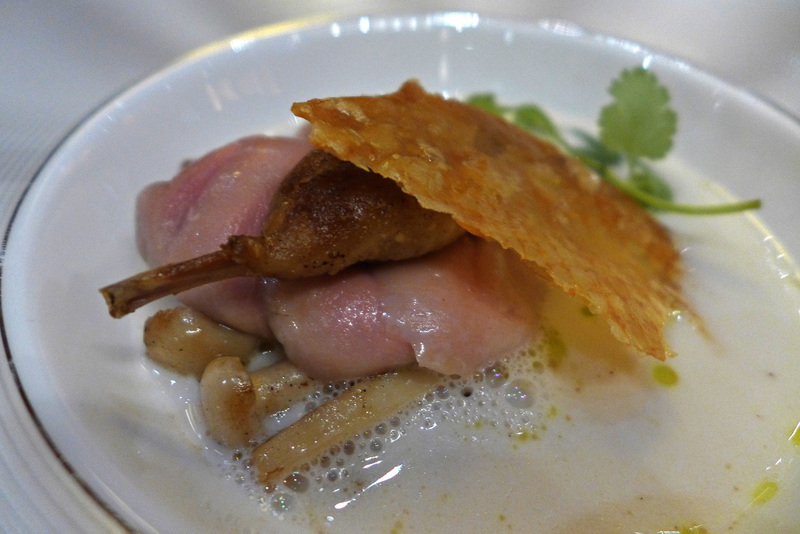 Quail poached in aromatic Coconut milk with sautéed Mushrooms. 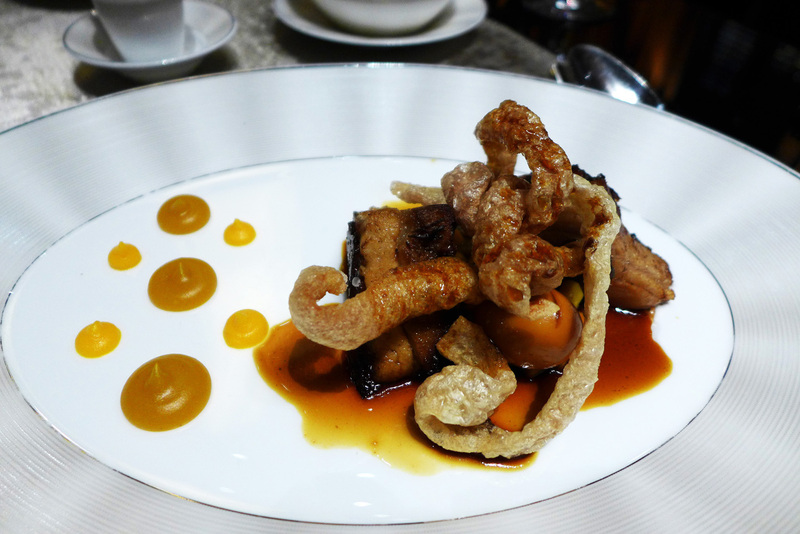 5 Spiced braised Pork belly , Cracklings and Pumpkin puree. 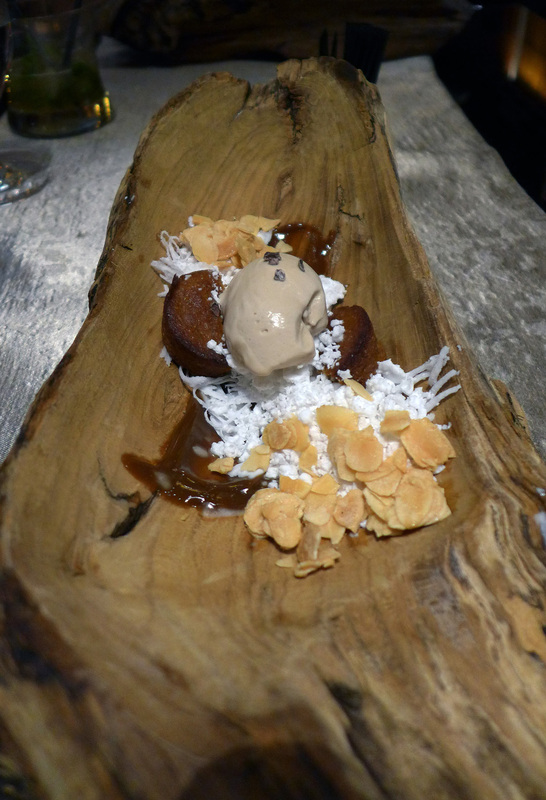 Banana cake , Salted ice cream , toasted Almonds and Caramelised Milk. 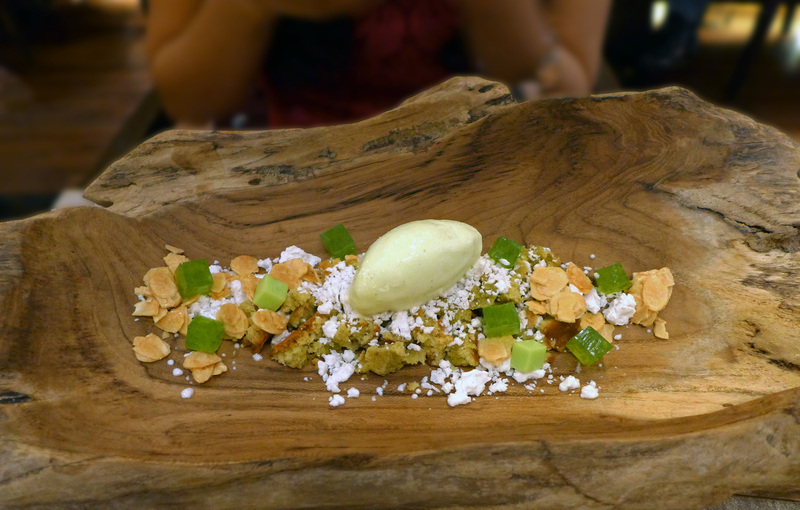 Pandan ice cream , Pistachio cake , frozen Coconut and jelly. The food at Sra Bua was “ ok “ but I won`t return to eat there again as there`s many many more places in Bangkok serving food that I would much rather eat. 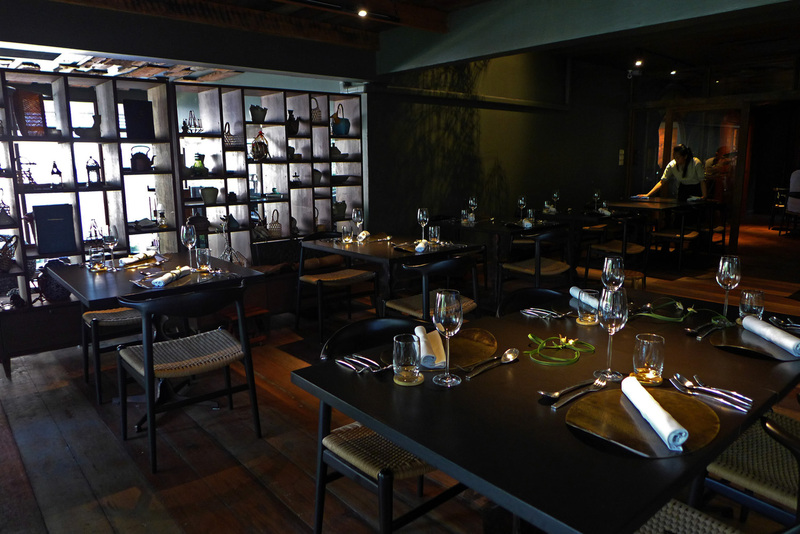 Molecular Thai doesn`t really work for me in Bangkok when there`s so many lovely restaurants on every street. 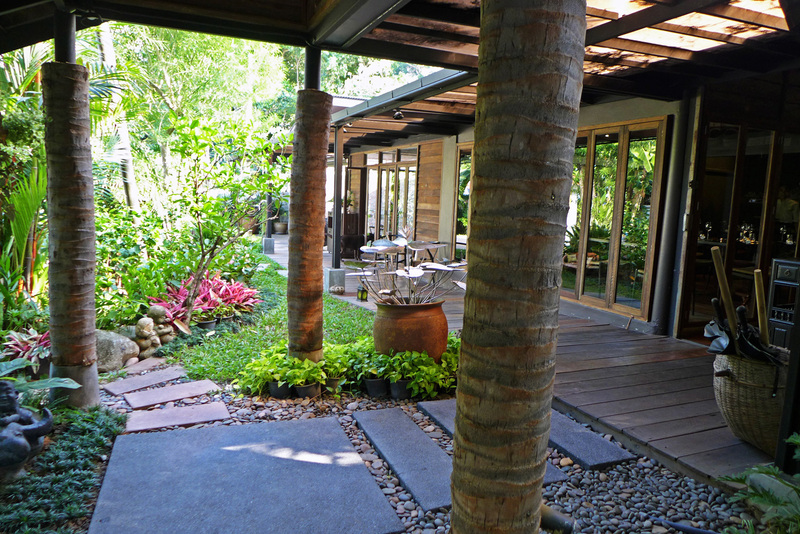 Service was `acceptable` and the restaurant was beautifully designed in the traditional Asian style. 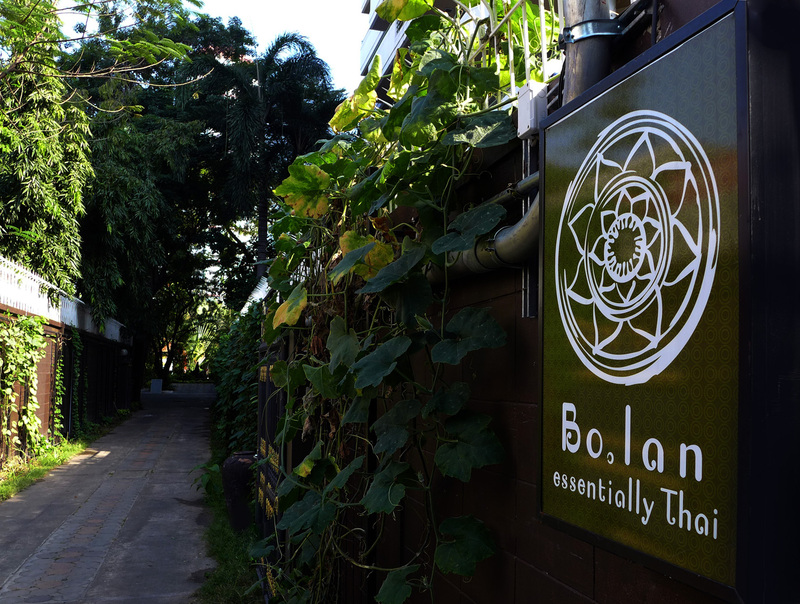 So on the the next Bangkok restaurant , BoLan , ranked 28th on Asias best restaurant list. This was very much a last minute stop on my way back to the UK. 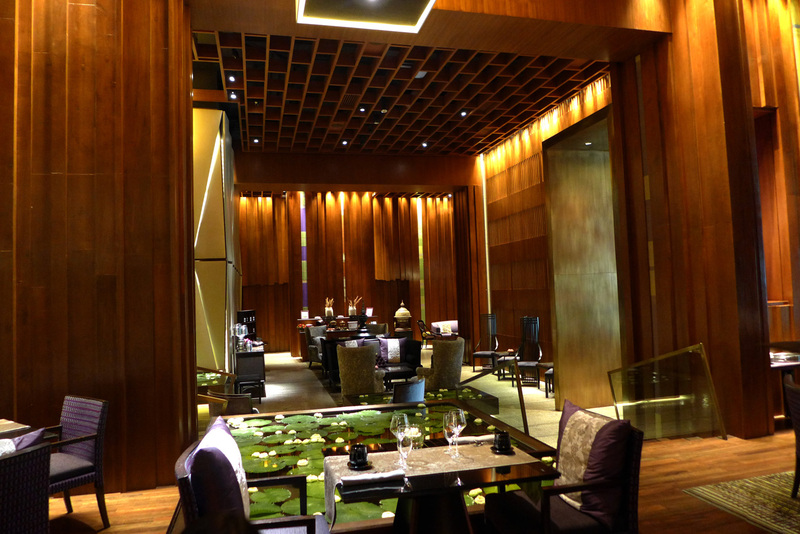 I had one day in Bangkok and time for one restaurant to dine in. I needed a Thai food fix that was guaranteed not to disappoint and so the choice was a simple one…BoLan. We booked in for lunch and headed up to BoLans new restaurant site on Sukhumvit Soi 53 ( Thong Lor station on the skytrain ). 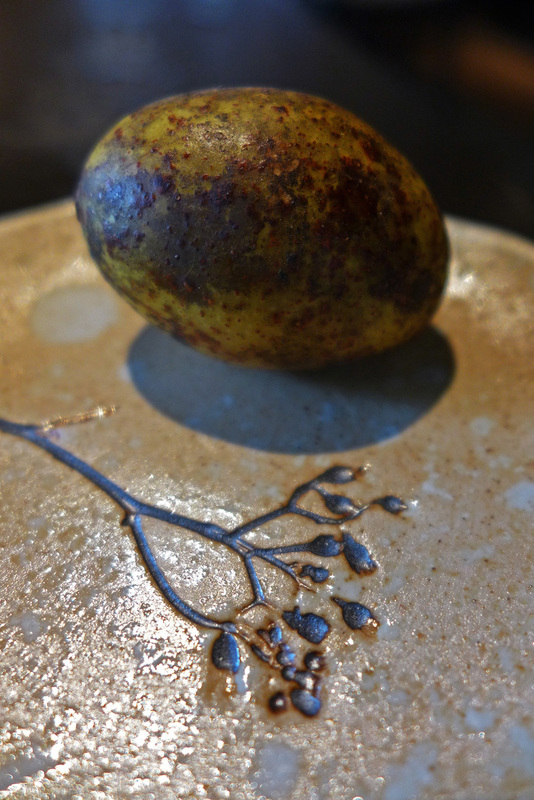 There`s a choice of a la carte dishes or a set lunch but of course we have to be different. Chef Dylan came out of the kitchen for a quick chat and offered to cook us a selection of dishes straight from the market , some street food and a couple of classics. 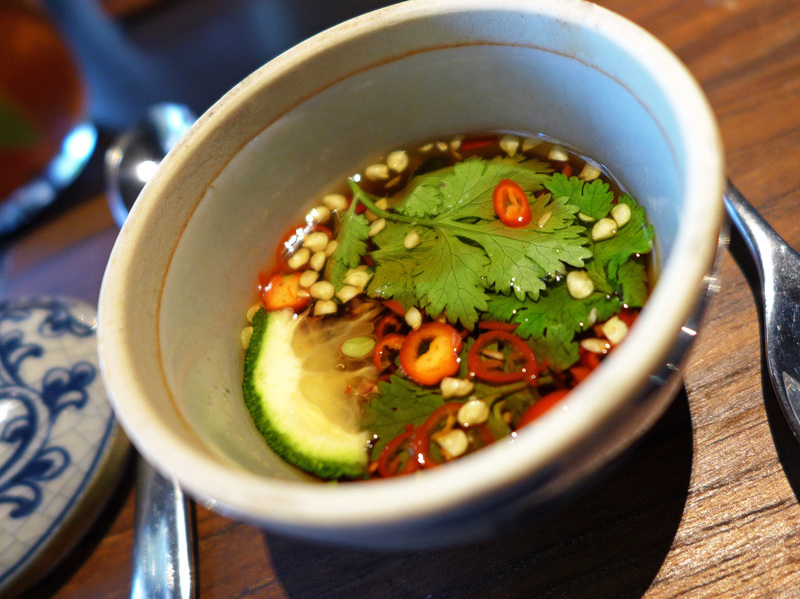 “ Chef , just cook whatever you want us to eat …and Thai style please….Spicy “. How`s about that for a lunch treat then ? We would just eat whatever we were sent out , chefs choice….Love it. 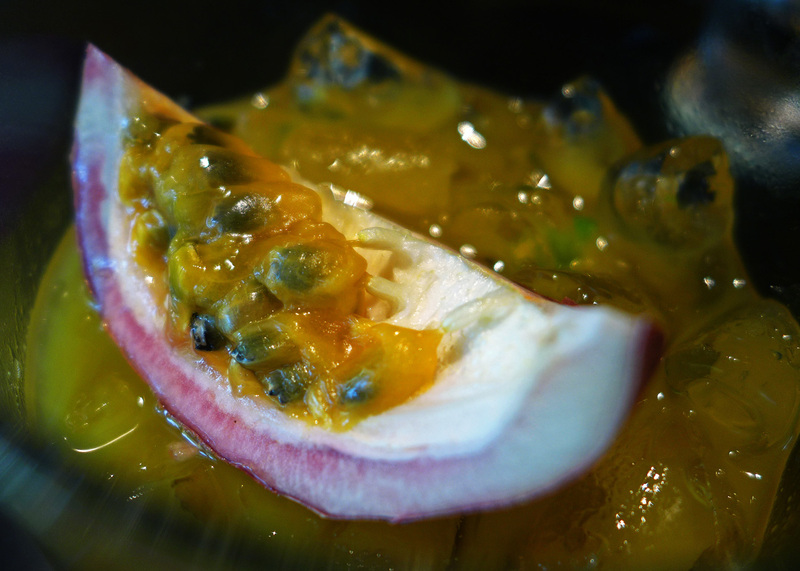 To start the feast – Passionfruit Mojitos. 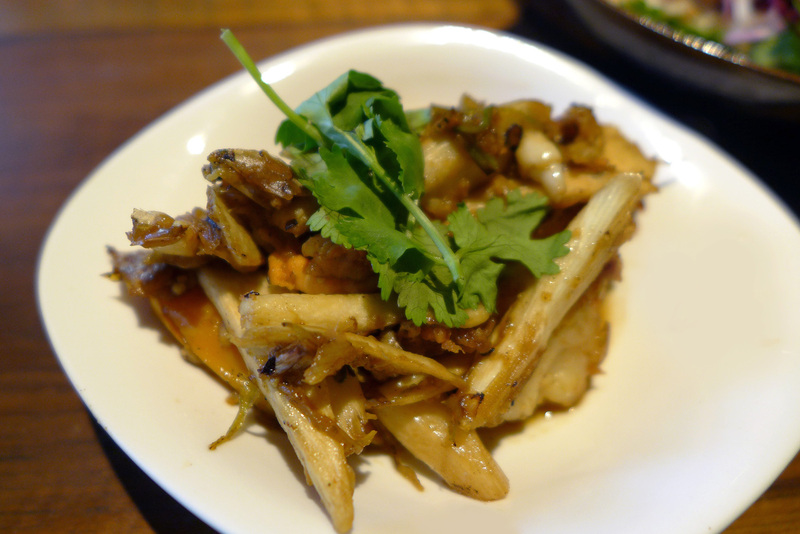 Rice Noodles with Galangal braised Chicken , The first of 3 starter courses. 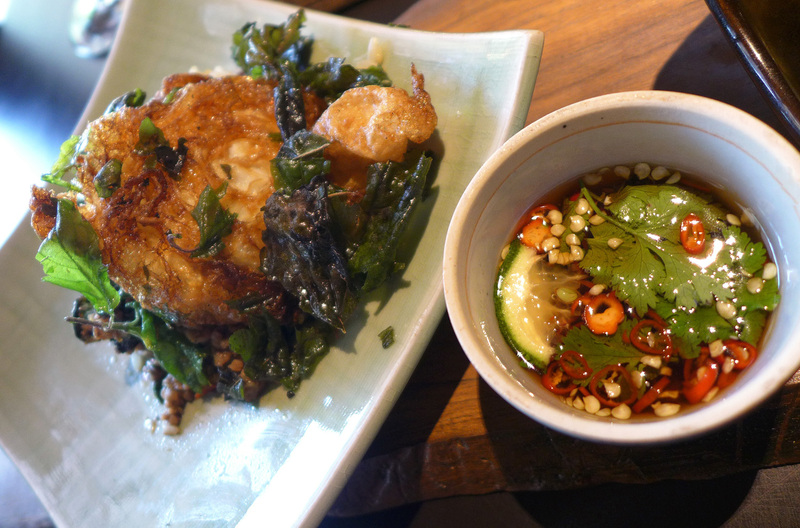 These savoury / spicy accompaniments arrive with most Thai meals. 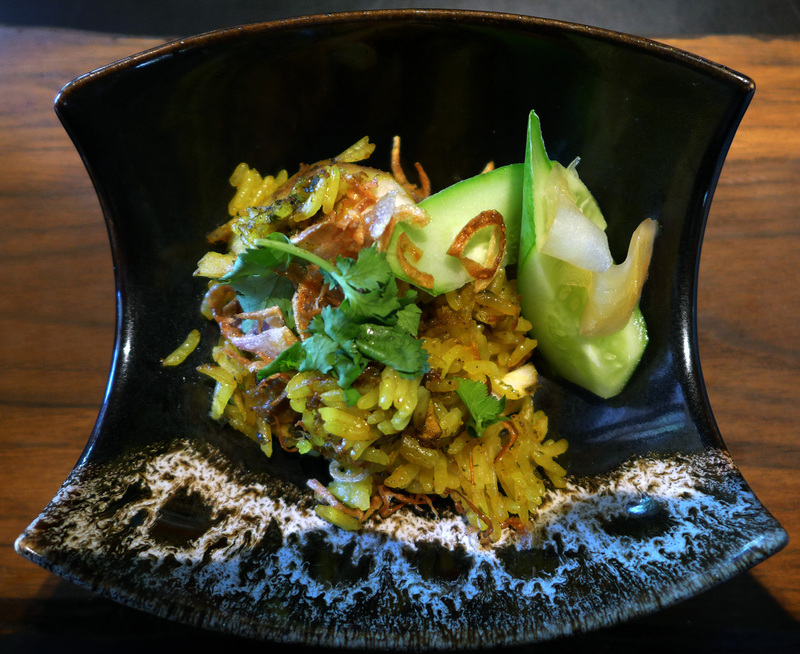 Southern style braised Rice and Spanish Mackerel with Mint dressing. 2nd starter. 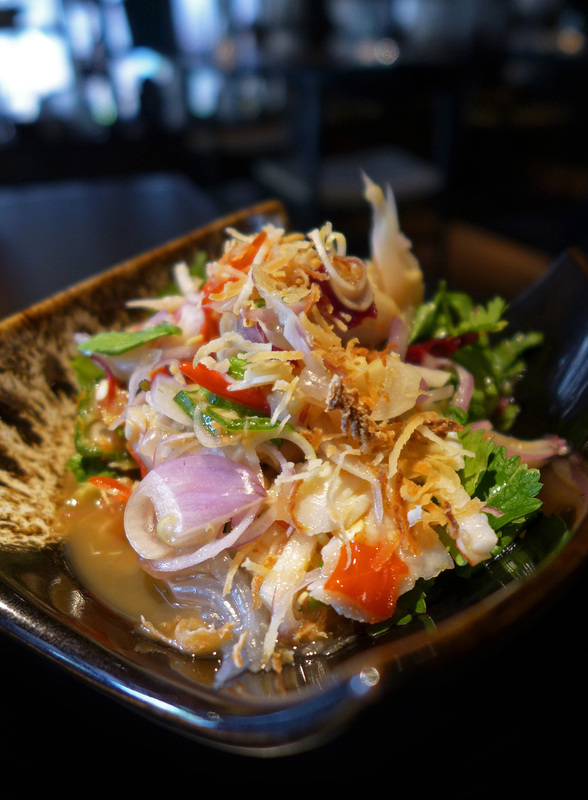 A typical Thai salad encompassing all the taste sensations that makes Thai food so very special – Sweet , Sour , Salty , Spicy , Bitter. 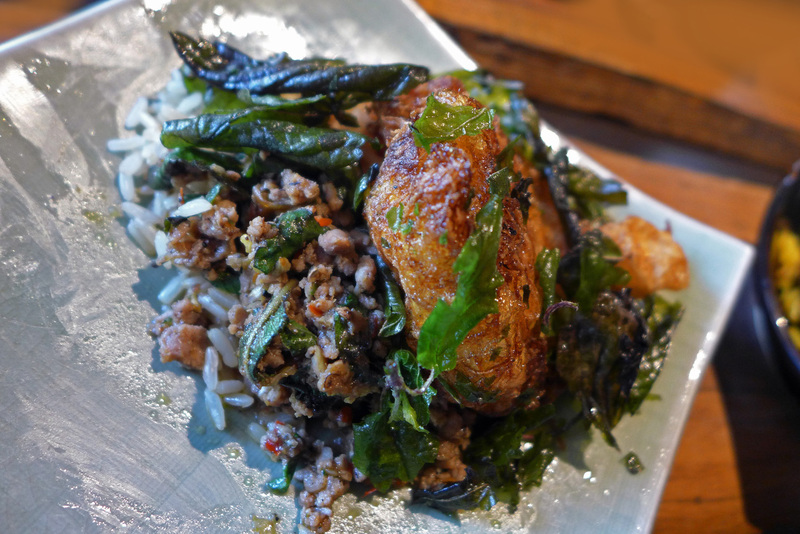 Stir fried minced Lamb with Chilli and Holy Basil as per Tinnakorn family. This dish is called Pad Krapow and is a very popular breakfast dish. Definitely one of my favourites to eat for brunch and always topped with a crispy fried Egg. 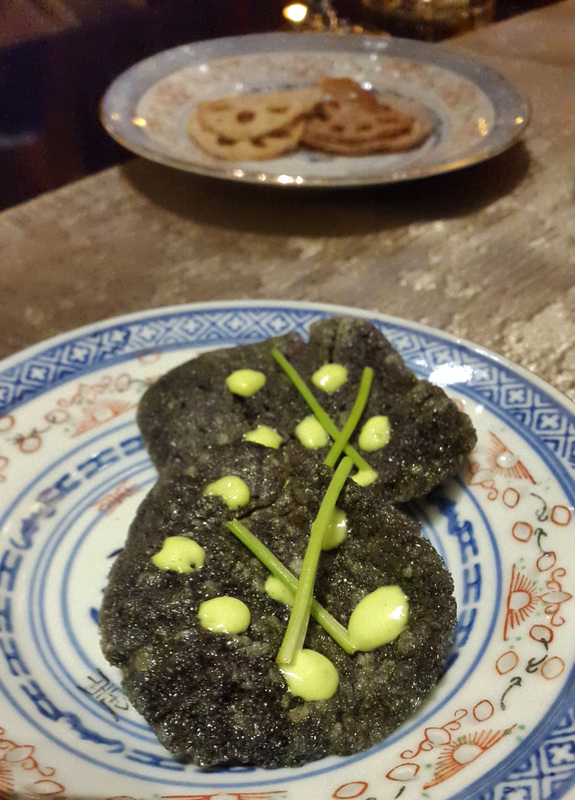 I can`t quite remember what this one was. 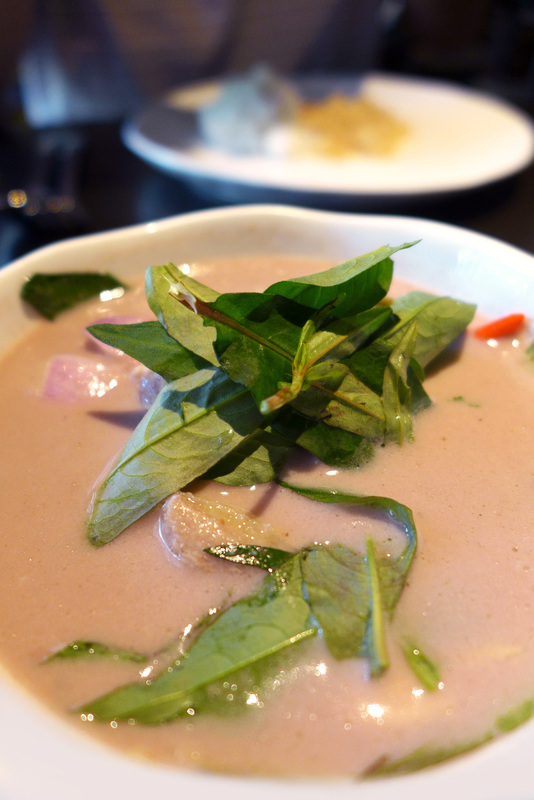 I think it was Chicken in young Coconut milk with Banana blossom and Vietnamese Mint. Red curry of grilled Pork neck with bitter Winter Melon . I`ll stick with what I said from last time I dined in BoLan . 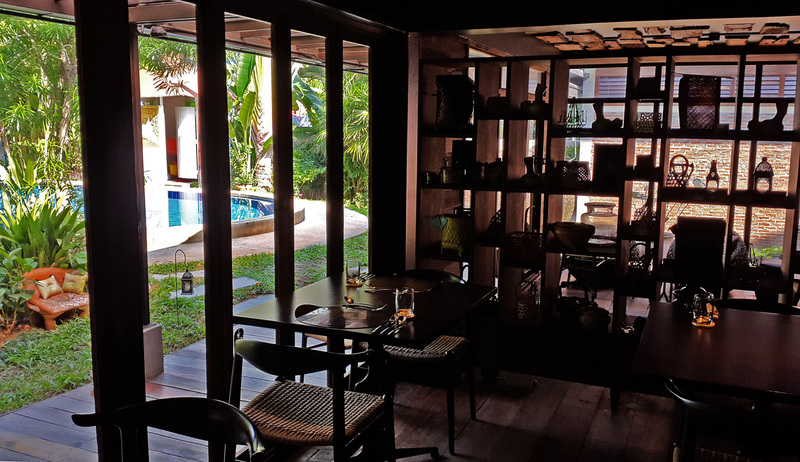 My personal opinion is that this is the best place to dine in Bangkok to experience authentic well researched Thai food at its very best. 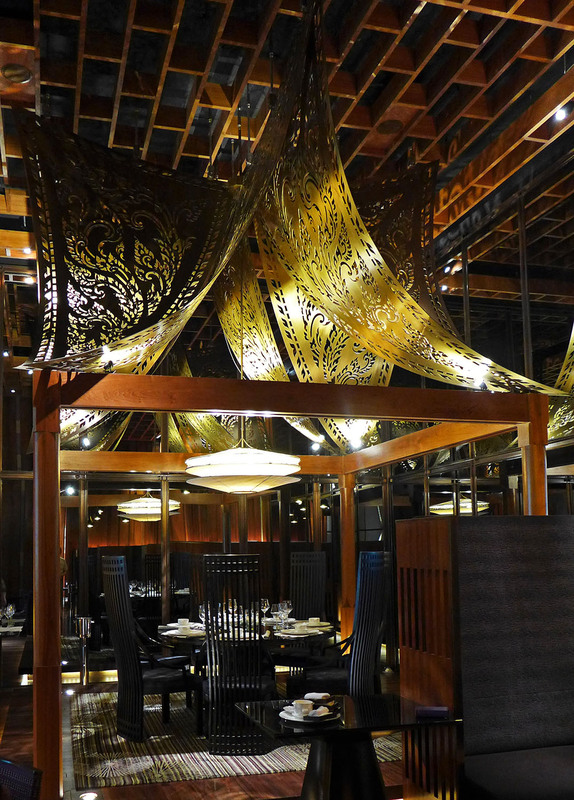 The atmosphere in the new restaurant is typically classic Thai in both décor and oriental aromatics .The food hits the nail right on the head. The prices are very attractive and if you start or finish your Asia trip off here then you certainly won`t be disappointed. 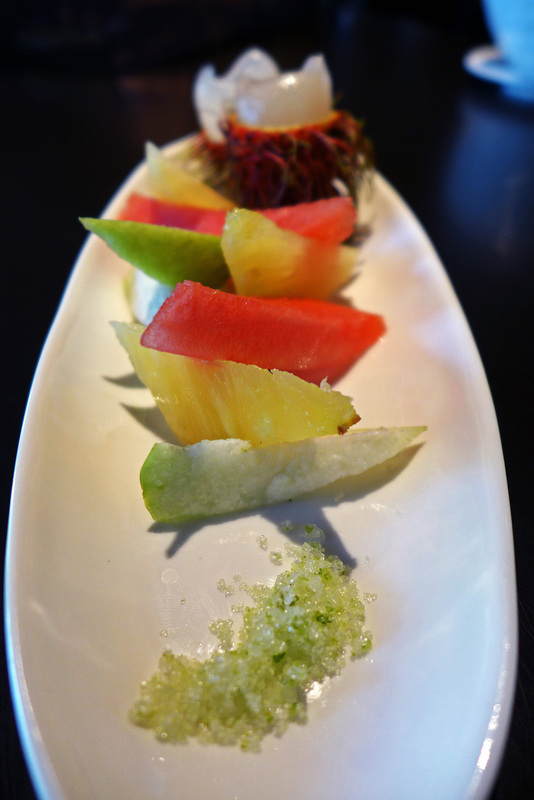 On this occasion I dined with a foodie friend who eats all over the city. He agreed with me that BoLan is right up there with the very best in the city so give it a go and see for yourselves. 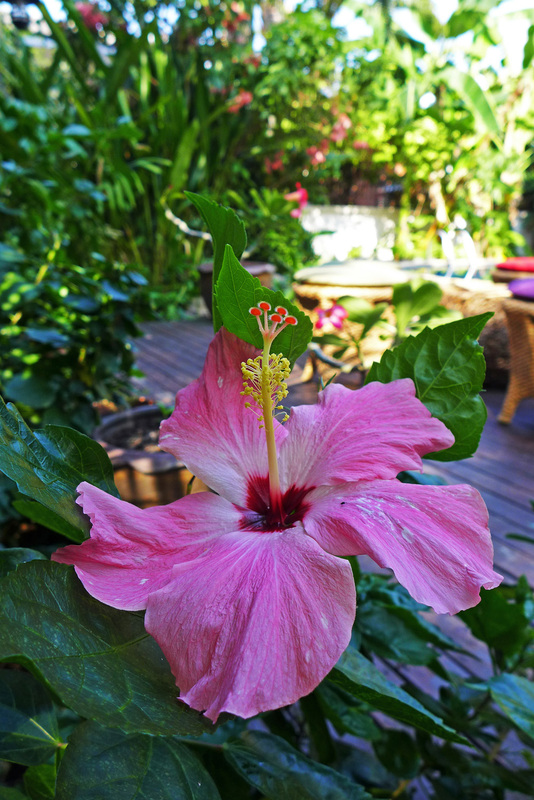 Pink Hibiscus , BoLan gardens. 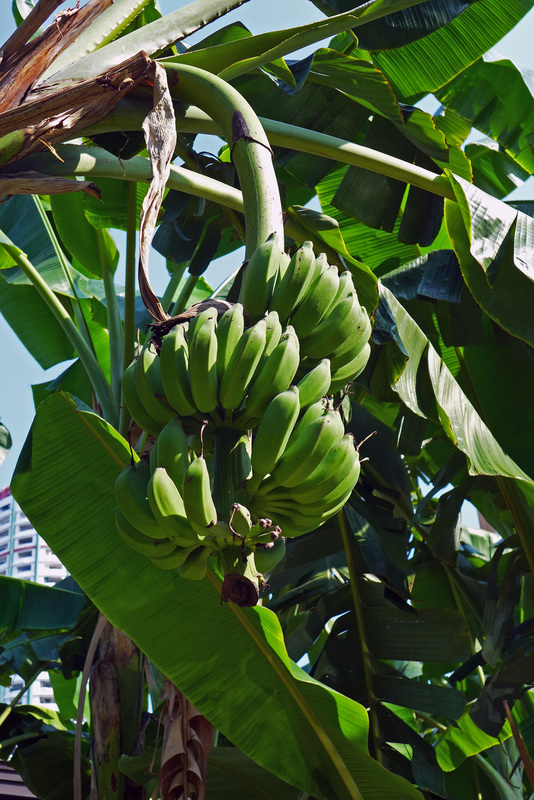 Green Bananas growing in the restaurant garden. 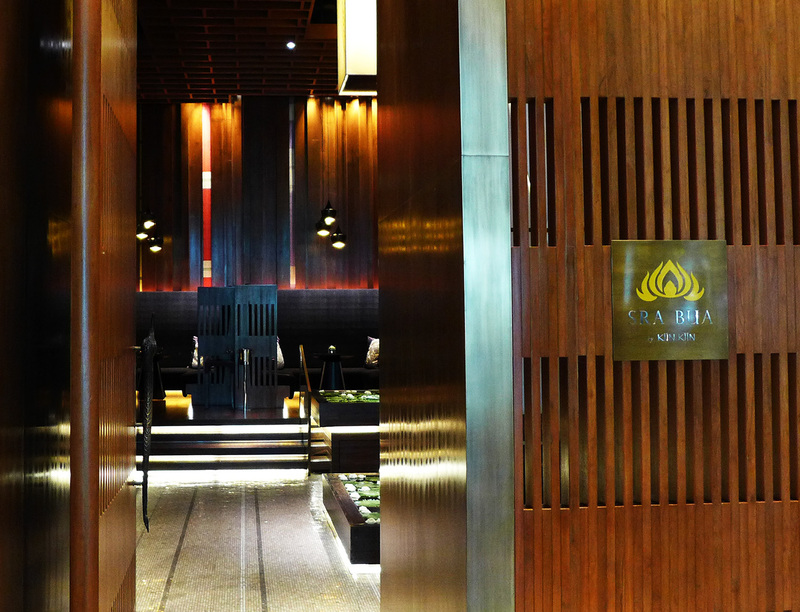 Sra Bua entrance inside the Siam Kempinsky hotel. To view the photos on Flickr then please CLICK HERE. Previous Post Lake Road Kitchen – 125 day old Beef. Next Post Mr Coopers House and Garden, Manchester. Mouthwatering photos! Bookmarking this for hoped-for visit later in the year! All food dishes so much good and beautiful.my mouth watering when i see this.surely visit at this place. We have been there in the ending of Nov. and it was a great Experience. The Food was so much delicious,authentic and extraordinary.